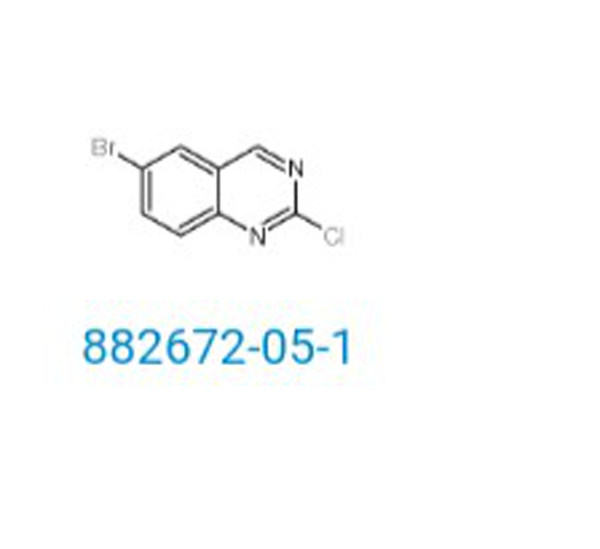 In case you are looking to buy any chemical, APICMO have got you covered. 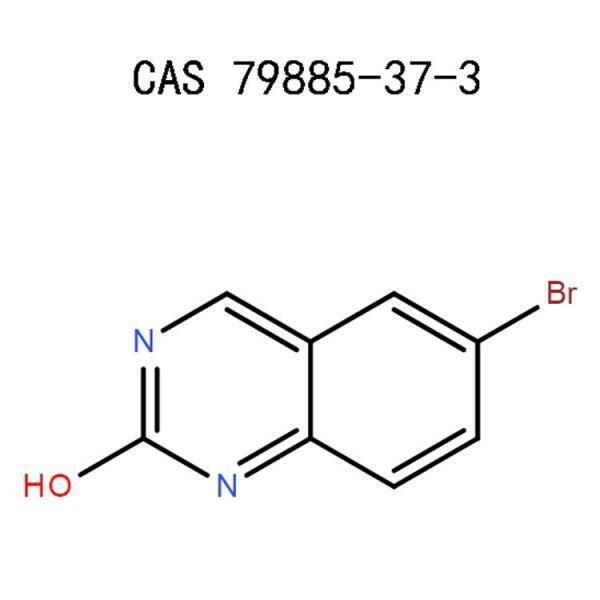 We synthesize a wide variety of chemicals including 6-Bromoquinazolin-2(1H)-one. Our products comply with the Common Good Manufacturing Practice(CGMP) and other manufacturing regulations. We are consistent in providing you with quality satisfaction at an affordable cost. It is an off-white powder and may also appear in chunks. It may decompose on contact with moist air or water. It is used as a preservative, polymer, corrosion inhibitor and as a catalyst. Respiratory protection (respirators, hoods,and masks) to protect you from inhaling toxic fumes. Do not breathe the dust, mist or vapor. Skin protective gear (boots, aprons,and chemical resistant footwear). Avoid coming into contact with the chemical. Face/eye protection (goggles, face shields) to protect you from the chemical splashing on your face or eyes. Hands protection (gloves) to protect your hands from any skin contact as you undertake your operations. Use ventilation systems (local exhaust ventilation), If the ventilation in the working area is not sufficient. If the operations you are undertaking emits fumes and dust ensure that you the ventilation systems. Enclose the emission source by using fume hoods or cabinets that are biologically safe. Once you notice this, you should immediatelyremove the contaminated clothing if it has come into contact with the chemical. Clean the area with a lot of water and a gentle soap. In case the irritation persists, seek the attention of a doctor. If ingested, wash out your mouth with water. You should not try to induce vomiting. See a doctor immediately. In case you are giving first aid, get the victim outside to a place where he/she can breathe fresh air and let them sit in a comfortable position that allows them to breathe without difficulty. If the victim is not breathing, give them artificial respiration and seek the attention of a doctor. If your eyes get exposed to this chemical, immediately remove contact lenses if it is possible to do so. Rinse your eyes cautiously with plenty of water for a minimum of 15 minutes. If irritation persists, see a doctor. Avoid eating, smoking, or drinking when handling this chemical because it could poison you. Do not add water to the chemical due to its reaction with water. Comply with all safety regulations and hygiene measures regarding the use of chemicals. Do not breathe the vapor/mist because it may irritate your respiratory system. Ensure that you have a safety shower and eyewash nearby in case of emergency.It will ensure a quick responseis given in case an accident happens. Make sure you have spillage equipment on sight in case spillage occurs. You should also make sure that the containers are well labeled for identification and avoid mixing the chemical with incompatible substances. 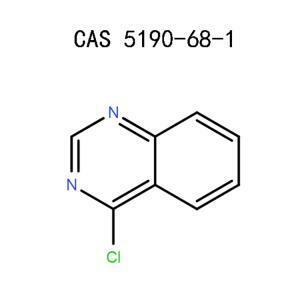 Clean your hands thoroughly after handling this chemical. It helps avoid any hazard,i.e.through ingestion. Remove the protective gear and clean it before wearing it again or discarding because it could be a hazard. Clean thesurface that you were working on to avoid any risk of reaction.It is recommended that the floor and working area should be regularly cleaned even if no spill has occurred.Dispose of the containers and other chemical waste according to the regulations. Make sure you tightly seal the storage container to avoid decomposition or any spillage that may occur. Ensure that you do not place the containers containing the chemical on bench tops to avoid being knocked off. The containers should be well labeled for easier identification. Keep away from people who are not authorized to prevent any accidents. Store it in a cool area that has sufficient ventilation. Place them far from any incompatible substances to prevent any reaction that may occur. Use all the protection gear properly: mask, goggles, apron to protect yourself from chemical exposure.Keep the available first aid equipment near to enhance fast response to any accident that may occur. It may include eyewash units and safety showers.Work in a fume chamber to protect yourself from being exposed to fumes and gas. Handle the chemical in a room with enough ventilation to reduce accumulation of fumes in the room. Keep it in a refrigerator when tightly capped to prevent reaction of vapors inside the refrigerator and to reduce “smell” problems. Avoid using rubber corks to prevent spillage. Place it in a well-ventilated area. Store it away from moisture as it may react. Ensure that you label allthe storage containers for easier identification. Store the chemical away from any incompatible substances such as strong oxidizing agents andinflammable products that may cause a reaction to occur. Adequate security should be given to prevent access of this chemical to unauthorized people. Small spill- If it occurs, use the necessary tools (you could also mix the chemical with vermiculite or sand), then transfer the spilled material into a container ready for disposal. Large spills-Stop the leak if it is not risky to do so and avoid getting water into the container. Prevent the spill from getting into sewers to reduce contamination. To reduce the amount of vapors, use a water spray. You could ask for help to contain the spill if it gets out of hand. Avoid using water with a full water jet.Once combustion occurs, there is the emission of toxic fumes.Firefighters should, therefore, wear the necessary breathing equipment and protective garments to prevent contact with the skin and the eyes. 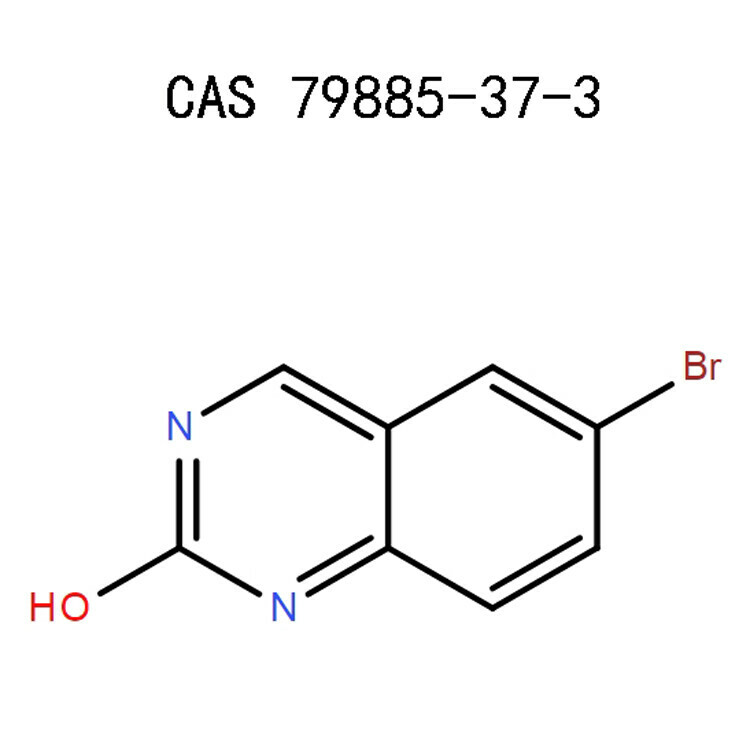 6-Bromoquinazolin-2(1H)-one is non-corrosive in the presence of glass. It reacts with strong oxidizing agents and emits toxic fumes once combustion occurs. Place all the waste material in waste disposal containers and handed over to an authorized waste disposal company as harmful waste. The disposal of the chemical waste should be according to the official rules put in place. It can be transported by both air and by road. 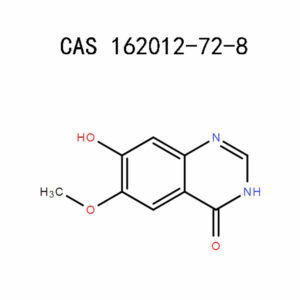 6-Bromoquinazolin-2(1H)-one complies with all federal, state and local laws. 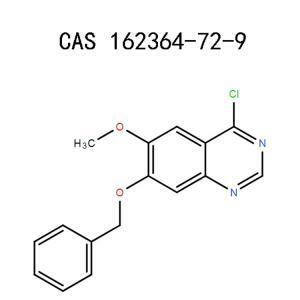 Looking to buy a small or large amount of this chemical? We are here for you. Please contact us for any inquiry regarding pricing and ordering. Houben-Weyl Methods of Organic ChemistryVol.E 9b/2, 4thEdition Supplement,edited by Ernst Schaumann, page 110. Indian Journal of Chemistry: Organic including medicinal, Volume 42, Council of Scientific &Industrial Research, 2003, page 1981. 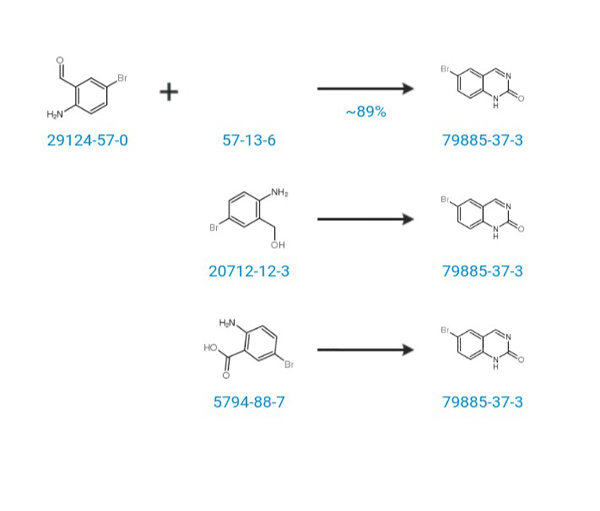 Science of Synthesis: Houben-Weyl Methods of Molecular Transformations, Yoshinori Yamamoto, Volume 16, page 9.